In July 2016 i was in Slovenia for 8 days. I didn´t stay at a hotel because i had the great possibility to stay at a private house, so i cannot recommend a good hotel but i have seen many nice hotels in Ljubljana, so you will find for sure a place to stay if you think about visiting this country. The first thing that i recognised was the amazing nature in Slovenia. On most of the streets you are surrounded by a huge number of trees and have an amazing view on the mountains. As i like being in nature it was great for me to have a week of relaxation in such an area. 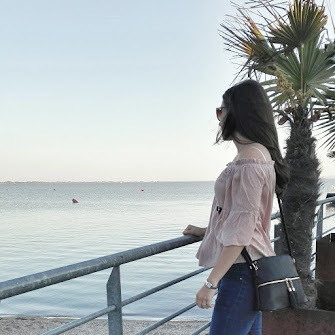 On my first evening there i visited the river Sava, i sat there watching the flow of the river and was totaly relaxed. The ambiance was so quiet and reassuring, and a big plus was the sunny weather. 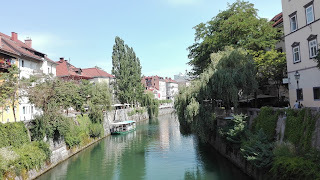 The next day i was in Ljubljana. The first thing i thought when i saw the center was: What a lovely city! People wandering around, talking to each other, buying some fruits or vegetables, standing at the many bridges over the river Ljubljanca. From the town center you can see the Castle from Ljubljana when you have a look up. Due to stress because of my plans for that day i did not have the possibility to visit the castle, but next time i will for sure. I would travel there again, beacuse i really liked this city. My favorite part of the trip was renting a boat at the lake in Bled to visit the little island in the middle of the lake. The boat has cost 10 Euro per hour and that was absolutely okay for me. 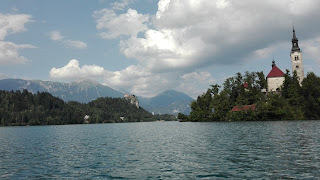 On this island there is a church and a little museum that you can visit, but it was so hot that we prefered swimming in the lake. The water temperature was absolutely good for swimming. 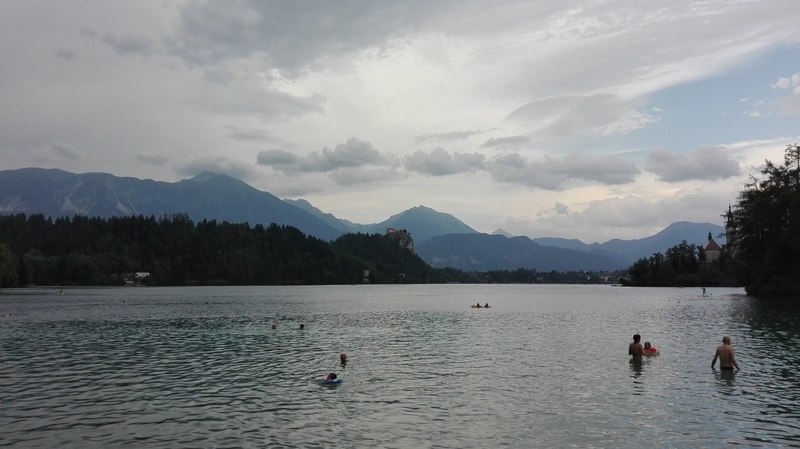 Unfortunately the weather was getting worse and so we decided to return the boat, to enjoy the lake from the shore and we went back when the clouds started to get darker. 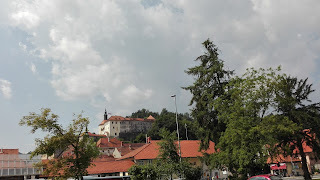 Another nice city that i visited was Skofja Loka with its nice castle which is located up on a small hill. We walked up there through the old city center but you could also drive by car if you prefer. You can visit the exhibition in the castle or if someone who is working there has time for you you can also visit the old farmers house, where you get told how people in slovenia lived many years ago. It was really interesting to visit this place. As a fan of skijumping and skiing it was a must- see for me to visit Planica and Granska Gora. 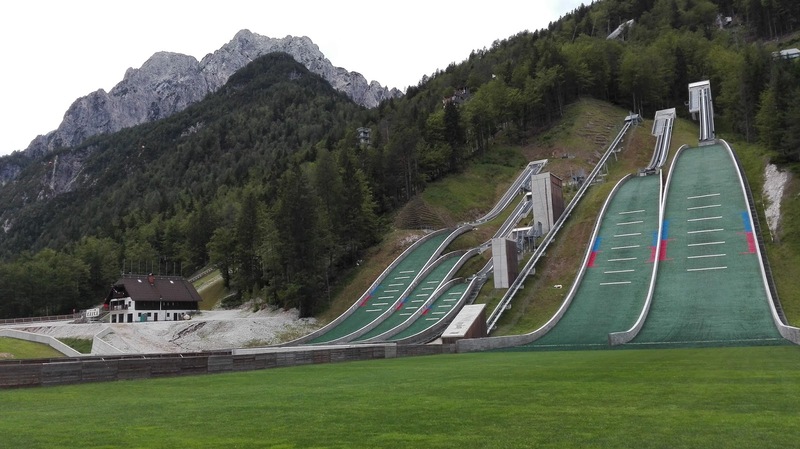 In Planica you can see the hills where the skijumpers are skijumping in winter, which is impressive. I have never seen such high skijumping hills before. 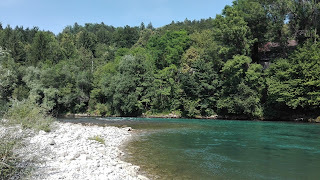 Later in Kranska Gora we visited the small lake in the town which was really nice to have a walk around and to sit there and enjoy the beautiful day. Hope you liked my little review of my trip. If you want please just leave a comment and tell me your opinion.